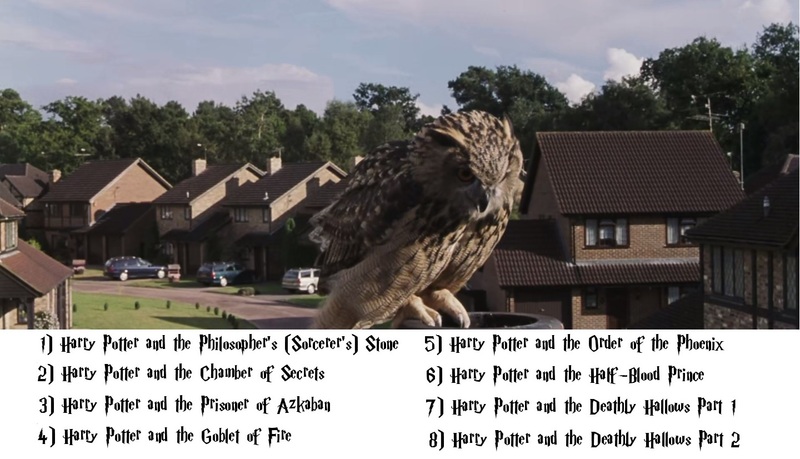 Can you name the Harry Potter films from a shot without any characters**? Please type the number of the film (displayed beneath the screenshot) when entering answers. **Living beings must be personally named to count as a character.